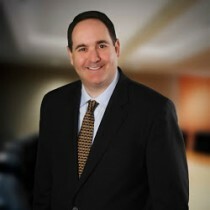 Seth Price is a founding and managing partner of Price Benowitz LLP. Price Benowitz LLP is a law firm dedicated to fighting for their clients’ rights. Price Benowitz LLP handles a wide variety of cases including personal injury, medical malpractice, and whistleblower reward law to name a few. There are many different types of personal injury cases. Some common types of injury cases include auto accident, premise liability, wrongful death, truck accident, medical malpractice, as well as many others. Mr. Price is an AV rated attorney who has earned a perfect 10/10 by AVVO and was named one of the top 50 lawyers in the Northeast by Amtrak Magazine. He was selected as one of the top 100 attorneys in Washington, DC by the National Trial Lawyers Association. Additionally, he now serves on the association’s executive board.